Through A Vintage Lens is at the Mid-Island Photo Expo at the Waterfront Gallery in Ladysmith on Vancouver Island this month. 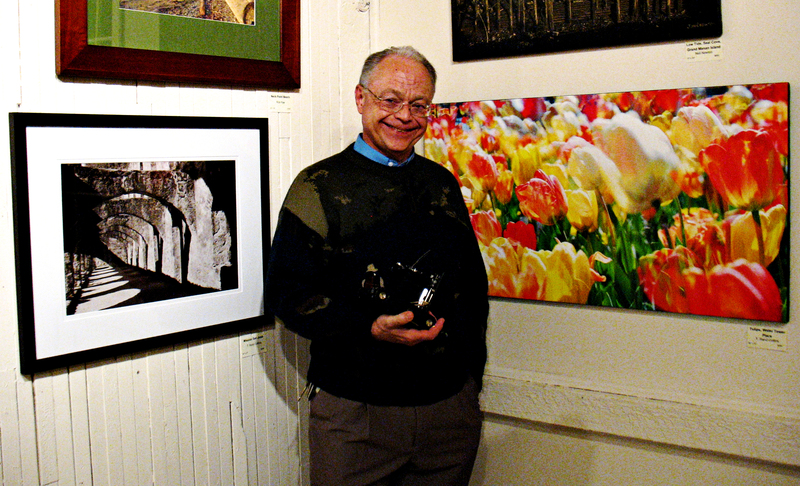 “Tulips, Water Tower Place” and “Mission San Jose” won a place in the exhibit, which is to become an annual event. 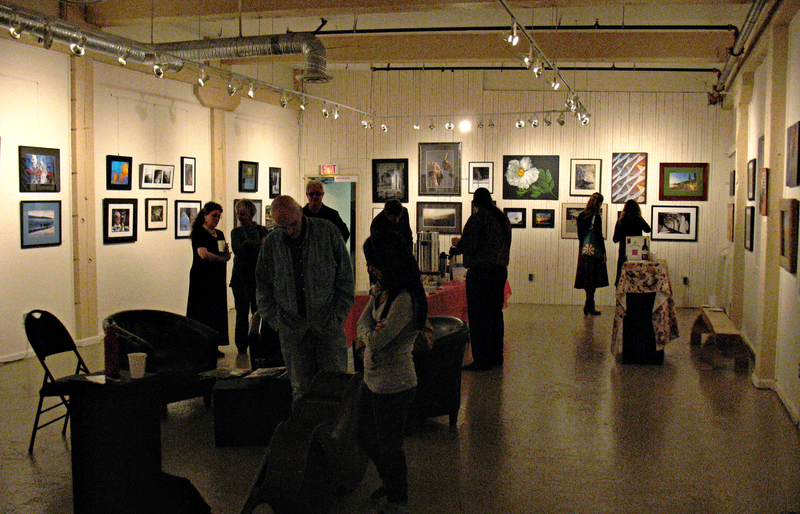 The venue, managed by the Ladysmith and District Arts Council, is a large gallery with high-quality lighting located in a renovated warehouse near Ladysmith’s waterfront. The quality of the entries underlines the sophistication of Vancouver Island’s artistic community. Including such well-known Vancouver Island artists as Neil Fatin, the breadth and quality of the images is impressive. I am honored to be included. I was delighted to discover that I have been invited back to talk about fine art photography with vintage cameras. This entry was posted in Exhibits and Presentations by randcollins. Bookmark the permalink. I enjoyed your photos in the show. I was particularly pleased to discover I wasn’t the only film user included. My favorite camera is my Crown Graphic. I also use a couple of MF cameras, Korona 8×10, Nikon FE (rarely these days) and a digital camera when I need something light, quick, easy. I’d like to know when you are giving your talk on vintage cameras. If you are interested, I’d love to get together to see more of your work and have a good old mardle about photography.